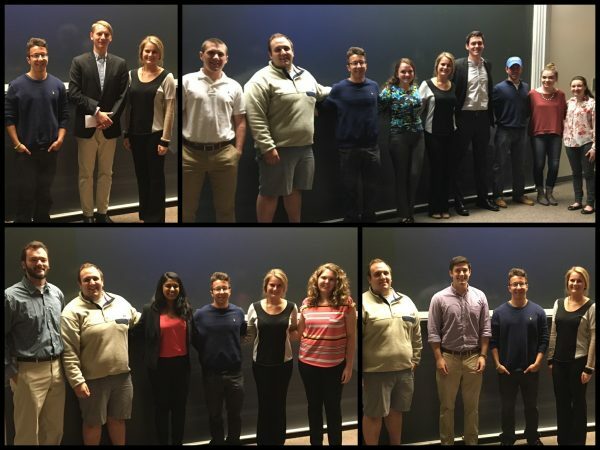 During the Spring 2016 semester, the Blue Hen Economics Club, the Delaware Environmental Institute, and the Consulting Club co-hosted the 2nd annual Environmental Economics Case Competition in celebration of Earth Month. Students were invited to research and present an environmentally-themed case study focused on reducing or eliminating a source of waste on campus. Six finalists were chosen, and on April 27th, the six student groups presented their ideas at a mini symposium for a panel of judges. The first, second and third place groups were awarded $500, $300 and $200 gift cards, respectively. Grace Pedersen, the first place winner, is working with the UD Sustainability Task Force to further investigate and potentially implement clotheslines in UD dormitories. Congrats to the winners! For more information on the annual Environmental Case Competition, check out our page: bhecon.com/case/.